If you are getting ready to take your road test chances are you are nervous. If you have practiced and you are fully prepared, you really do not have to be nervous because you should have no problem passing. Here are 10 driving test tips for you to consider to help you calm your nerves and pass your test without a problem. 1. 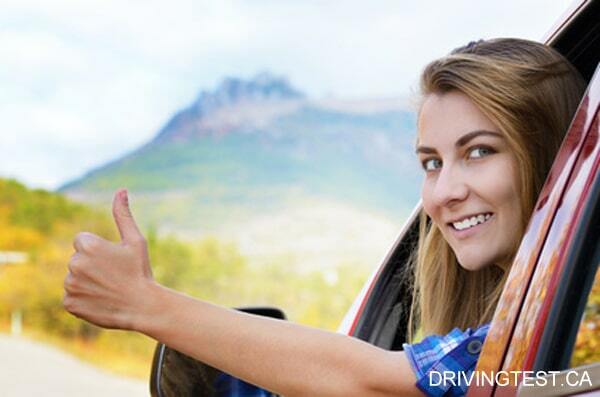 Practice, practice, practice – Before you even think about scheduling your road test you will want to practice. Practice a lot because there are many things you will have to learn before you can pass. Drive at every opportunity. It may even be beneficial to you to take some driver training classes. These classes will help you be more prepared for your road test and will help you learn things that will help you be the best driver you can be for the rest of your life. 2. Prior to starting the car – When you go for your road test, everything you do will be scrutinized carefully by the person who is administering the test. Before you start the car, make sure to adjust your mirrors, turn off the radio and most importantly, buckle your seat belt. Take a moment and make sure that you familiarize yourself with the vehicle and confirm that everything, such as the turn signals, is in working order. 3. Obey speed limits – Once you are on the road and you are driving, pay attention to the posted speed limits. Do not speed. If you do, you could very easily fail your road test. It is also dangerous to drive too slowly so as a rule of thumb it is best to stay as close to the posted limit as you can without going over. 4. Use the parking brake – You may be asked to park your vehicle on hills. If you are, make sure that you utilize the parking brake. Once you have the vehicle parked how it should be, place the vehicle in park and put on the emergency break. Remember that if you are facing uphill, your wheels should point the left of the curb. If you are going downhill, the wheels should point to the right. Take your time and do each step the right way to ensure you are doing it properly. Do not forget to release the emergency brake prior to pulling away from the curb. 5. Stop signs and red lights – When you approach a stop sign or red light do not slam on the brakes. Instead, begin to slow down a good distance away so that you can come to a gentle, complete stop when you reach the stop sign or red light. If you slam on the brakes, you will lose points. The more points you lose the less likely you will be to pass the test. 6. Do not forget your turn signals – If you are making a left or right turn you must use your turn signals. If you do not use them, you will lose points. Although you may think that you do not need them when you are in a turning lane, it is still a good idea to use them, especially during your road test. 7. Making turns – When making turns, the turn signal is not the only important thing to remember. Additionally, you must look carefully in all directions to ensure there is no oncoming traffic. Slow down enough to make the turn safely without going too slow. Keep a steady speed and once you make the turn, speed back up gradually. 8. Parallel parking – This is one part of the test that is the most intimidating to many new drivers. Even people who have been licensed to drive for several years do not like to parallel park. This is one occasion where driver training is a good idea. They will teach you how to parallel park properly. You must be at least three feet from the car in front of you and the car behind you. When you are backing up, do not rely solely on your mirrors, as they are not as reliable as your own eyes. You will need to be constantly looking over your shoulders as you are parallel parking to see exactly how much space you have to maneuver in and to know exactly where you are. 9. Lane changes – During your road test you will be asked to change lanes at various points. There are certain things that the tester will be looking for. Make sure you always check your blind spots by looking over your shoulder. Do this prior to putting on your turn signal. Check your mirrors and blind spots before you change lanes and slowly merge into the other lane. 10. Defensive driving – Although you know what you are doing behind the wheel, you have no way of knowing what other drivers are going to do. Anticipate their moves ahead of time. You can do this by keeping your eyes on the road and paying attention to what is happening on both sides of you. The person who administers the test will be looking for your defensive driving skills. If you follow these above tips, you will easily pass your road test. You should have no problems passing and becoming a fully licensed driver. When you are fully prepared and have a lot of practice under your belt, you will have nothing to worry about.